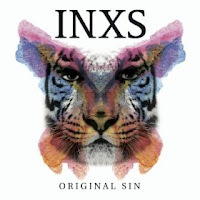 INXS - yes ... INXS - has released a new greatest hits package and it's now just seeing the light of day here in the US. This one is a bit different though because they've cajoled other artists to cover or otherwise guest on the tunes. Of course when your original lead singer has been dead for 14 years and you've been forced to subject fans to an American Idolesque reality show to replace him, I guess you need to get creative. Most interesting to me: Ben Harper doing Never Tear Us Apart and Tricky with Meditate. Fair warning, though ... John Mayer is on the album. I'll stick with the brilliant originals. Michael Hutchence is irreplaceable.